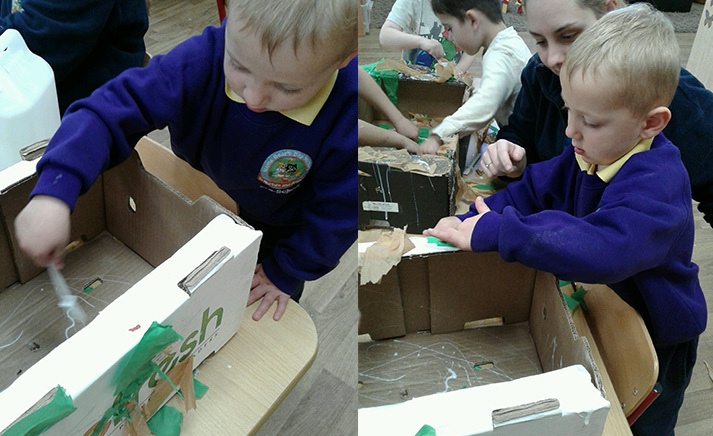 In Whitchurch, following our interest of animals this week, we have made a farmhouse! 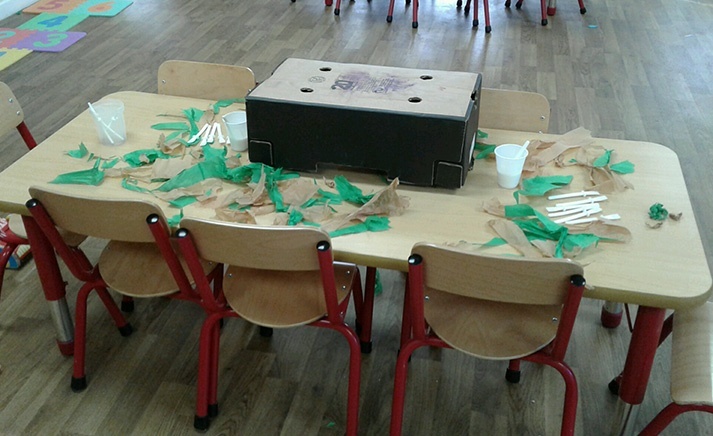 We showed control of one handed tools and used our fine motor skills to stick the tissue paper on. It was so much fun!